With over 50 years’ experience, and a host of awards and trophies, including a Commonwealth Gold Medal, Trevor Waddington’s reputation is based on an unparalleled level of workmanship and service. After achieving distinction at the Tailor & Cutter Academy in London in the early 1960’s, Trevor subsequently worked with Bernard Weatherill, the late Speaker of the House of Commons, on Jermyn Street in London. After returning to the family business in 1964, he entered various international exhibitions, and in 1967 achieved numerous accolades, including the prestigious Commonwealth Gold Medal for Tailoring and The Hunt & Winterbotham Trophy. Today, Trevor’s 50 years’ experience enables Waddington’s to offer an exceptional tailoring service uncommon outside London. 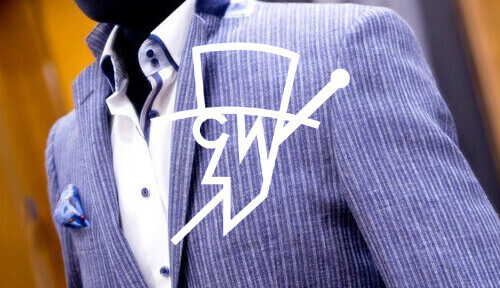 A bespoke suit or jacket is the ultimate personal expression of individual style. Waddington’s hold an extensive selection of the finest cloths always in stock, including Read & Taylor and Huntsman, with new designs arriving regularly. Clients can also select from a range of fabulous lining options and buttons, and even choose a contrasting stitching to highlight buttonholes and other areas of their suit. All bespoke tailoring is designed and cut on the premises and sewn and finished in Waddington’s London workshop. Bespoke clothing is made to last, with at least two fittings required to ensure the perfect fit. Please call 01909 472371 or visit the shop to discuss your Bespoke Tailoring requirements.